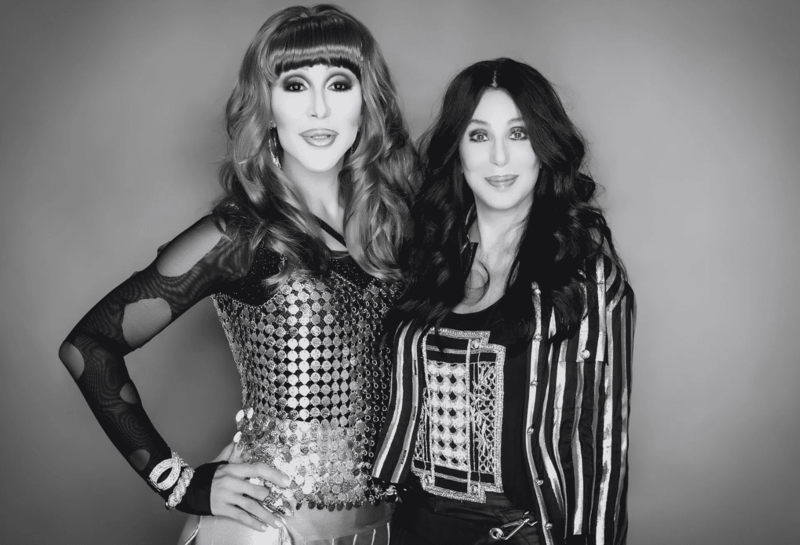 Drag performer Chad Michaels (left) with Cher (right). Photo courtesy f Jonathan Clay Harris. While we announced at the beginning of this year that San Pedro husband-team Aiden and Daniel Garcia-Sheffield would be launching the first Pride on the Port of Los Angeles on June 15, we knew the event’s purpose was to not only to help gather revelers from the entire region to party on the Battleship Iowa but to bring new awareness to the Harbor Area’s tiny-but-mighty queer community. However, details were scant—until now. Long Beach newest and largest vessel, The Sir Winston, will become none other than the Fairy Ferry, bringing festival-goers from Long Beach, through the harbor, and onto the steps of the L.A. waterfront, allowing revelers to drink and be as fairy-merry as possible before joining the main event on and around the Iowa. Tickets purchased for this 90-minute boat ride will automatically include general admission into the festival. The ship—which Aiden originally had worried would be unable to stay open for the entirety of the event—will now serve as the festival’s VIP area from 10 a.m. to 10 p.m. on the day of the event. And on top of Long Beach queens, including Missy V and Demencha, making the ship their stage, none other than Chad Michaels will perform, channeling his best “Turn Back Time” Cher using the fantail of the ship as his stage. “Chad Michaels. Battleship Iowa. Cher. ‘Turn Back Time.’ Come on now,” Aiden said. Pride on the Port of Los Angeles will take place on Saturday, June 15 near 250 South Harbor Blvd. in San Pedro. Early bird tickets are available for $15 and can be purchased here. For more information on the entire festival, click here.